Nether Seal B.V. has been founded in 2005. The Company is privately owned by the Management who has more than 20 years of experience in the designing and manufacturing Non Contact Rising Stem Ball Valves and Dual Expanding Double Block & Bleed Plug Valves. In order to avoid extraordinary production or maintenance cost and in some cases environmental pollution, today’s business gives extra attention to the process of selecting the correct valve. Double tight shut-off valves with sealing both up-and downstream are requested more frequently. 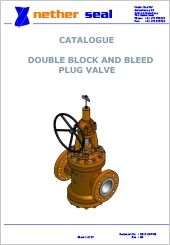 To meet these requirements Nether Seal has developed the Dual Expanding Double Block and Bleed Plug Valve. Unlike other valves, like Ball, Gate, Butterfly Valves and ordinary Plug Valves, the Nether Seal Dual Expanding Double Block and Bleed Plug Valve sealing mechanism is designed on a radial move only. The sealing is not liable to friction, shear or tear, so no abrasion on the seal. This means an exceptionally long life time compared to other type of valves.